As a soon to be high school graduate, deciding where to go to college is a difficult decision. There are a lot of factors that go into making the choice of what school is the best for you and your future. We’ve put together a quick rundown of the basic questions you should ask yourself when deciding if a college or university is right for you. The cost of attending college is a fundamental factor when deciding where to go. Whether you have to work through school to support your education or take out loans to make it possible, tuition is something you’ll have to take into consideration. In the 2017-2018 academic year, the average tuition cost for a private school was $34,740. Even though most students entering college aren’t always concerned about the cost because the bulk of it is usually dealt with after graduation, you’ll have to remember that the tuition will greatly affect your lifestyle after college. While some students have financial help from their parents, not everyone has that luxury. Look into your options when it comes to paying tuition, and read up on how to borrow student loans without a cosigner. What scholarships and financial aid do they have available? Speaking of college cost, you’ll want to look into all of the scholarships and financial aid the school offers to their students. Depending on the tuition of the school and where it lines up with your budget, the financial aid package they offer you will be a big deciding factor in which school you end up picking in the end. Additionally, applying for any scholarships that are available is another way to get your yearly cost down and make the tuition payments easier for you and your family. You always want to do everything possible to get your tuition costs down, so look into the kinds of scholarships they have. Your high school GPA can offer you extra money as well, so doing well in your last couple years before college is crucial. The location of a school can have a big impact on the decision of whether to attend or not. Do you want to be closer to your hometown or do you want to get away and experience something new? To save a big chunk of money on room and board, consider living at home and commuting to college. Living in a dorm isn’t for everyone, so staying at home with your parents might be an easier transition into college life for you. If you’re looking at schools out of state, it’s important to check out the surrounding area of the college to make sure you’re comfortable. Feeling good about the location of your school is crucial, especially when it’s going to be your first time away from home. Do they have your major? You may not entirely know what you want to do with your career when you’re first entering college, but knowing what programs your prospective schools have is important. If you know you want to be in marketing, the school you choose should have a strong marketing program. If you’re undecided on what major you want to choose, make sure your school has a large variety of majors and programs to offer. Make a list of your interests and which majors go along with them to decide what majors you’re more likely to be attracted to down the line. When deciding on schools, the size is something to consider based on what you’re looking for and what your personality is. If you felt comfortable at your small town high school, a smaller private school might be a great option for you. Whereas if you want something bigger and want to get lost in the crowd, a big state school is likely the way to go. A bigger school is going to have larger lectures for classes and a smaller school will have more intimate class sizes, so your professor is more likely to know your name and be able to help you on a one-on-one basis. Here is a list of good smaller school options. Depending on your learning style, you’ll want to make a decision on what size school is going to work for you and your educational growth. What extracurriculars do they offer? Of course academics is the foundational aspect of college, but you’ll want to be aware of your school’s extracurriculars as well. Look into the clubs and opportunities the schools you’re considering offer. If you’re intrigued with learning more about writing, see if the colleges you’re applying to have a school newspaper. While the classes you’re in will likely align with your interests, extracurricular activities are just as important. Socialization is a necessary part of your college experience, so check out the college calendar for student events, this way you will be sure to have opportunities to meet new people often and a variety of venues. Deciding where to attend college can be a nerve wracking task, but as long as you do your research and ask the right questions, you’ll find a school that is great for you and your needs. 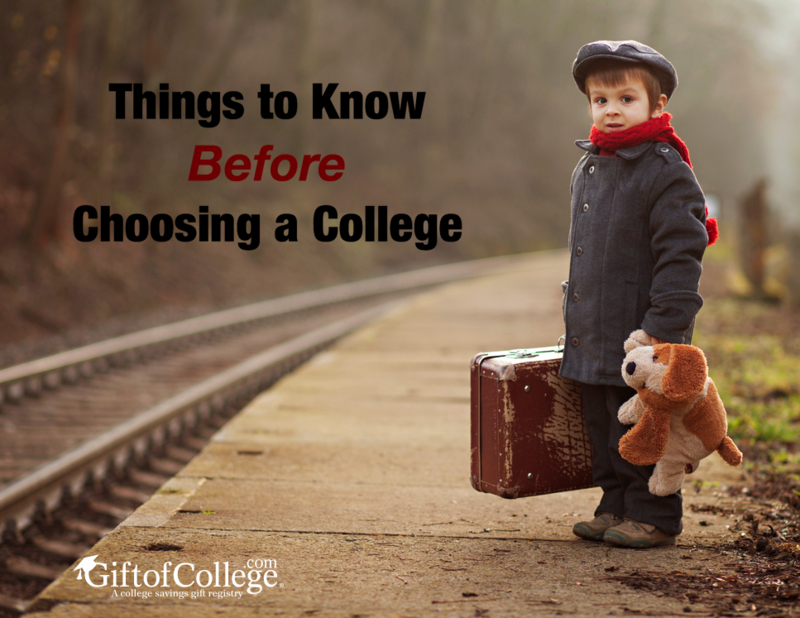 Your college career is the beginning of your adult life, and you need to choose a school that is going to jumpstart your education in the right way.